Male single swivel fitting with a single lug. This fitting may sometimes be used to fix flat sheets to tubes, dependant on load requirements. The tube going through this part should be continuous as it cannot be joined within the fitting. 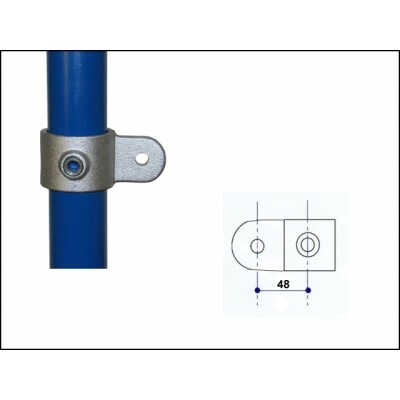 This part is supplied here as a single piece, but is also available pre-assembled with the Single Swivel Combination Female Part (JWICL173F) to form the Single Swivel Combination (JWICL173). Warning: Swivel fittings alone should not be used for entire structures as they do not offer sufficient stability.